The Logitech Harmony Ultimate has just about every feature you could ever ask for in a universal remote, and then some, and Amazon’s offering it up for an all-time-low $170 today. The Harmony Ultimate can control 15 of your favorite devices (from a database of 270,000), including ones hiding behind cabinet doors. Its touchscreen gives you quick access to your favorite settings, and its smartphone companion app brings the same options to your iOS or Android device. Plus, it can even control smart home devices like your Philips Hue lights, meaning you can create a “Movie” mode that turns on your TV and Blu-ray player, switches your TV to the right input, and dims the lights, all with one push of a button. One of the newest members of Anker’s insanely popular PowerCore battery pack family pulls double duty as a USB wall charger, and you can get one for an all-time low $20 with promo code KINJFUSN. I played around with the PowerCore Fusion when it first launched, and loved it, mostly for the fact that it’s the only Anker battery pack that you can charge by plugging straight into the wall. You can read all of my impressions here, and then head over to Amazon to get yours for $6 off. 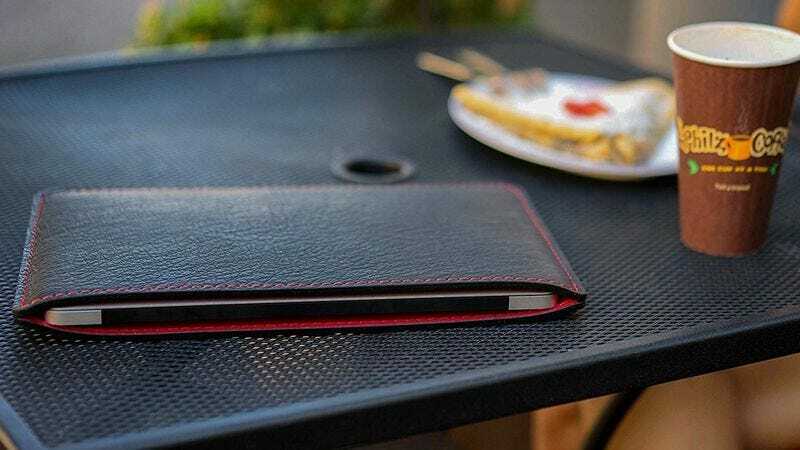 Jesus Diaz raved about these, and interviewed the creator on Gizmodo a few years ago, and now you can pick your own from Amazon with promo code KINJA015, complete with custom engraving. There are several options available, and prices will vary depending on the size of your laptop. They’re all designed specifically for various MacBook models, but compare measurements, and you could probably find one to fit your Windows Ultrabook as well. No matter which one you choose, you’ll save 15 percent at checkout with that promo code, and you won’t even have to pay extra for the engraving. This is the first discount they’ve ever offered to anyone, so treat yourself. Whether you’re backing up your computer, storing a massive movie collection, or need a big drive to hold all of your Xbox One and PS4 games, you can find a storage solution on sale in today’s Amazon Gold Box. Inside, you’ll find portable hard drives, desktop externals (which require a power cord), NAS enclosures, bare disks, and more, all marked down to great low prices. I suspect most of you will gravitate toward the Seagate Backup Plus desktop drives, which come in at $72, $88, and $184 for 3TB, 4TB, and 8TB respectively. Just note that reviewers say the 8TB model’s built-in USB hub makes it incompatible with the PS4, but it should work with Xbox One. 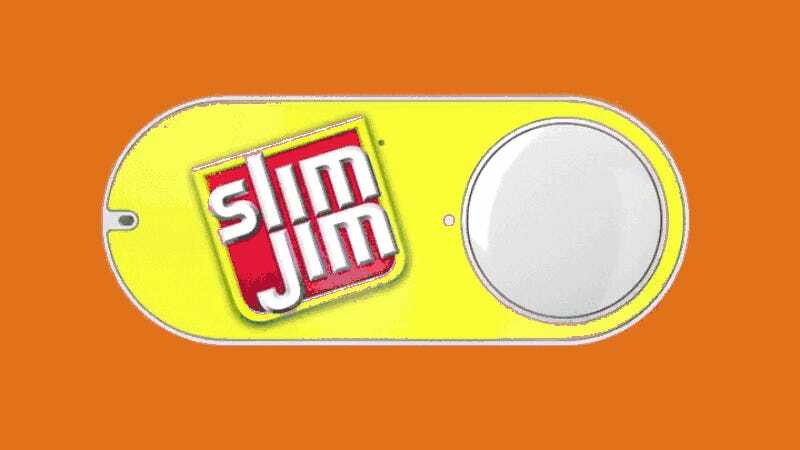 Amazon’s Dash Buttons were born two years ago today, and everyone assumed it was an early April Fool’s joke at the time. But they’re still alive and clicking, and Amazon’s running a fantastic deal right now to celebrate their birthday. For one week only, you can buy up to three Dash buttons of your choice for $1 each with promo code DASHBDAY. And as always, the first time you use them to order an item from Amazon, you’ll automatically receive a $5 discount. That basically means if you maximize this deal and use all three, you’ll be getting $12 worth of value essentially for free. Nose hair is a problem a lot of people have but, for some reason, few people take care of. For a limited time, score this Panasonic nose hair trimmer for just $10, and you can be one of those people doing something about it. Remember in 2013 when two movies about the White House being attacked came out within, like, a month of each other? Hilariously, they’re now being sold as a combo Blu-ray for just $10, or $10 less than usual.